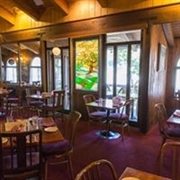 Gastrognome Restaurant in Idyllwild for sale. This popular dining spot is a favorite of locals and returning snowbirds who return time and time again. 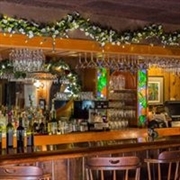 Unique charming atmosphere with outdoor patio dining or enjoy your meal inside their relaxing indoor dining area. Great central location. Liquor License is included in sale. Please call broker arrange a showing on this property. 2 Years remaining with 2 - 5 year options. 3,600 Sq Ft restaurant space wit large patio.